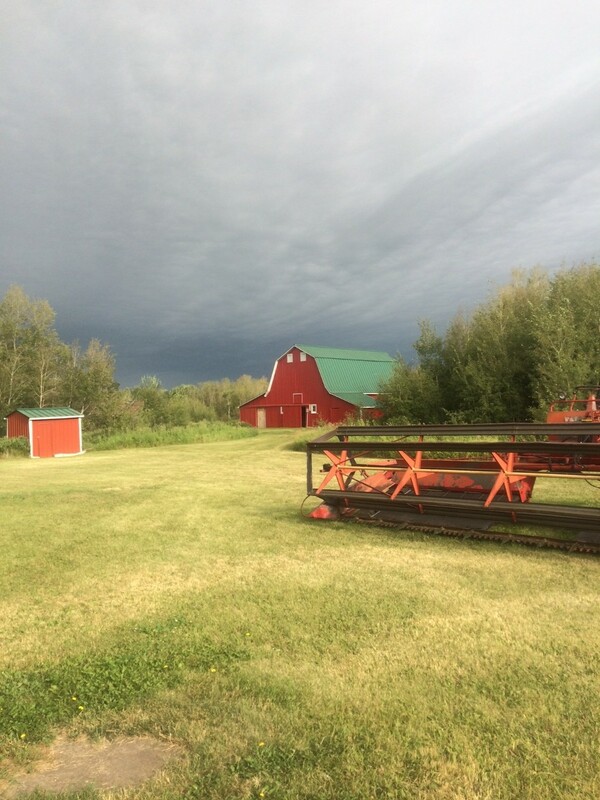 For this blog we are going on a trip- to Saskatchewan! Saskatchewan is bursting with scenes like this. Huge fields of crops, cattle, barns, hay bales, and fenceposts. 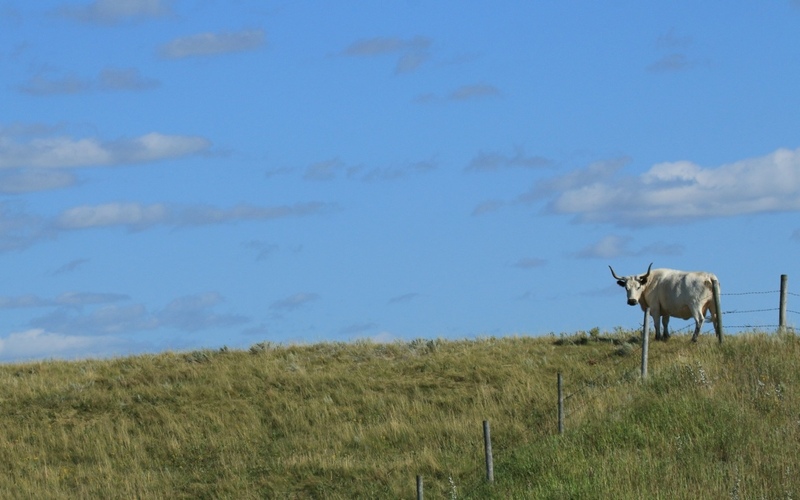 But Saskatchewan has many scenes, including ones you may not expect. In the far south lies some really surprising geography, plants and animals. Like cacti! 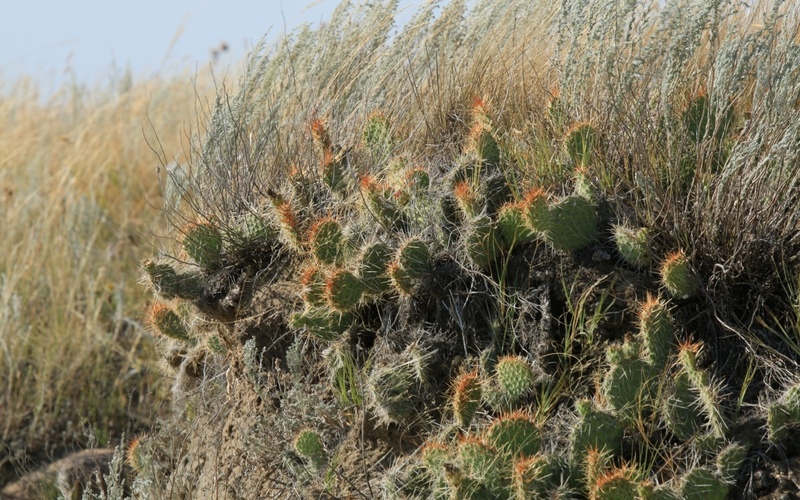 I have no idea how the cacti survive the harsh Saskatchewan winters, but it was growing in many areas we visited. 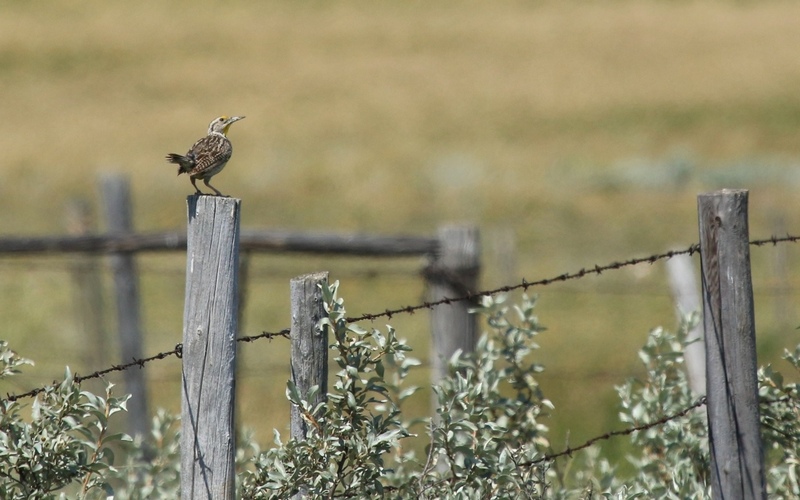 To my great delight, the ubiquitous fenceposts and hay bales were great perches for birds. 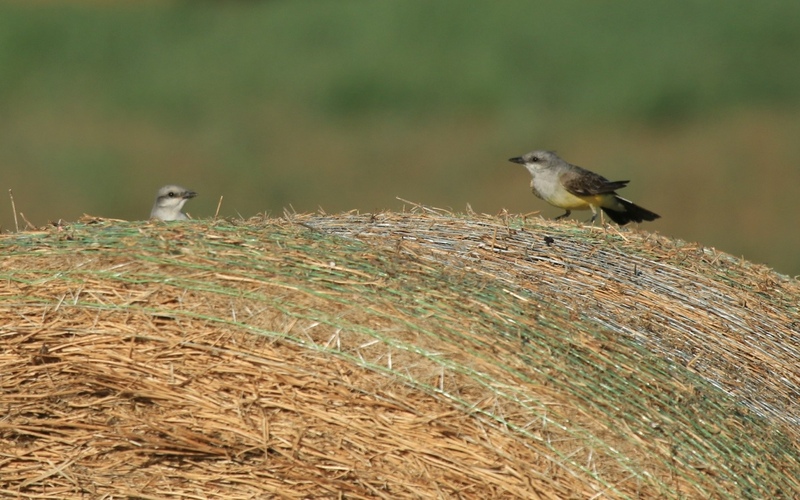 I got to see the western versions of Kingbirds and Meadowlarks. 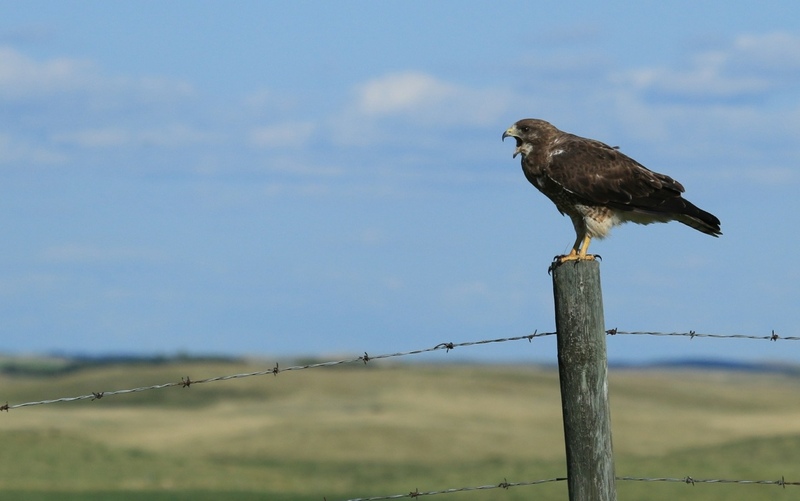 And I have never seen more hawks in my life, except maybe on Amherst Island in the winter. 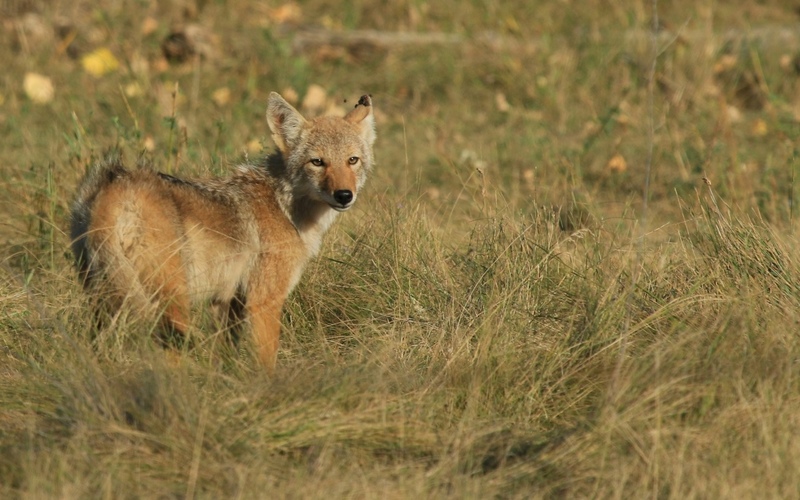 We got a really good look at a juvenile coyote just as the sun was setting. The car acts as a blind, so rolling down the window and quietly putting the camera out works- sometimes. 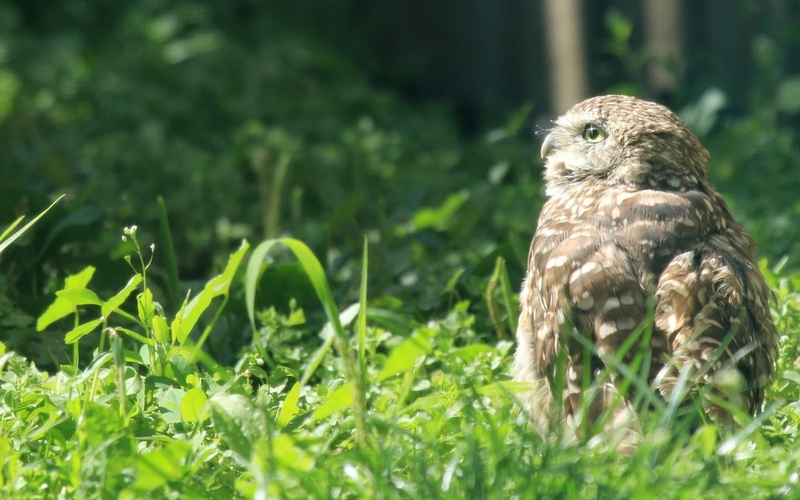 We were in Burrowing Owl territory but they are few and far between in the wild. We did get a good look at them at a conservation centre in Moose Jaw. Like so many other animals, habitat destruction and pesticides have been the cause of their decline. 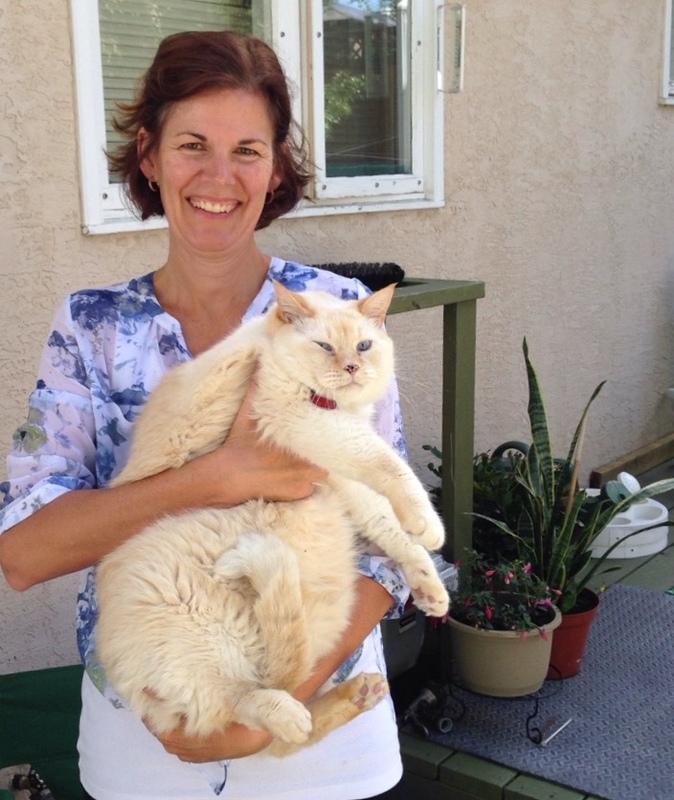 Perhaps the most astonishing animal I saw in Saskatchewan was Zach, my mother in law’s cat. I just had to share a photo of this 26 pound sweetie with you! Hope you enjoyed this little side trip to Saskatchewan! We’ll be back in Ontario next post. Leslie, I had no idea about cacti growing in Saskatchewan. That is amazing. 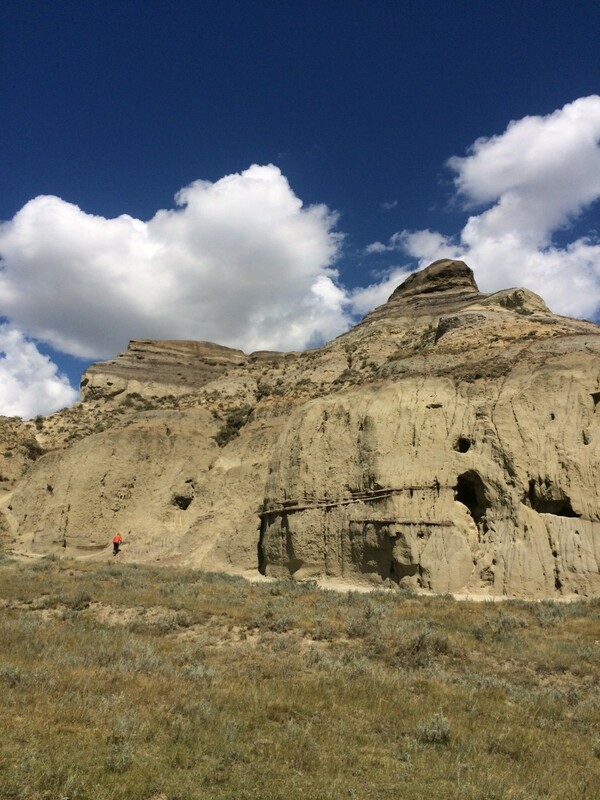 I love your scenic first shot and your photo of Castle Butte. Do people explore in what looked like it might be caves? Thank you.